With the circuit prepared by the army of volunteers and the whistle blown to announce the start, the riders took little time to get up to speed. So quick in fact that the A1 group were close to breaking the circuit record several times, covering the 8 mile rolling circuit in just less than 18 minutes. There was a small handicap given to the A3 and A2 riders but with such high speeds the strong A1 group had the race pulled together before the halfway stage on the 3rd of 6 laps. Leading the charge were Banbridge CC riders Gareth McKee and Sean Downey as well as Roger Aiken of Asea WheelWorx, Dan Stewart of An Post ChainReaction, Paul Wilkinson of West Down Wheelers and Lindsay Watson of Plush MTB. There were several attempts to break clear of the main field but these were closed down quickly and it would come down to a bunch sprint. Banbridge CC’s James Curry was the first to open the sprint up and led from a long way out. Unfortunately for the first year under 23 rider he was involved in a collision with one other rider in the gallop for the line and his race would come to a crashing end within sight of the finish. Roger Aiken had no such misfortune and once he began his charge for the line there was little doubting who would be the victor on the day. He crossed the line with a bike lengths advantage over Phoenix CC’s Craig Rea of Belfast. 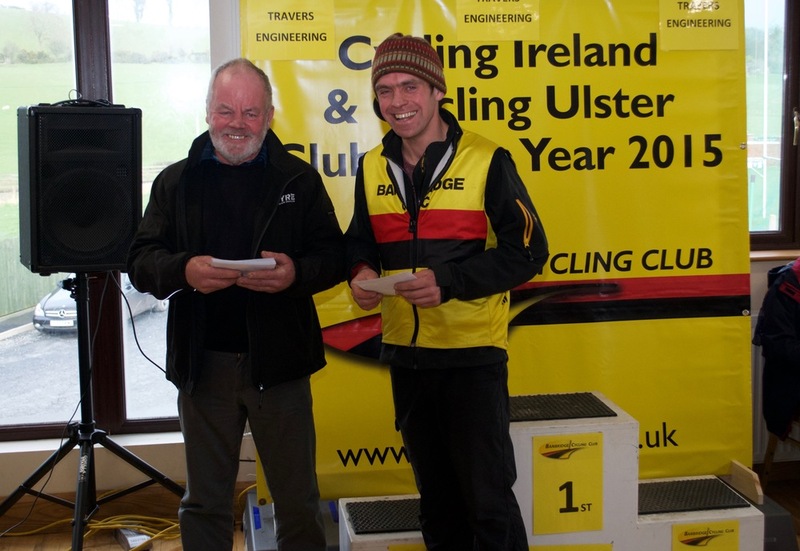 Last year’s winner of the A4 event, Chris McGlinchey of Chain Reaction Cycles rounded out the podium. In the A4 event Banbridge CC were well represented and were in the thick of the action all day. Mark Stewart and Johnny McRoberts were constantly visible at the front of the 80 strong field and clearly riding strongly. Again, there were numerous attempts to break clear but the large peloton soon clawed them back and it was another bunch sprint. Relative newcomer to the sport Wayne Garrett of Ards CC showed all others a clean pair of wheels and crossed the line ahead of Barry Tinnelly of Newry Wheelers and Ben Cady of Velo Café Magasin. 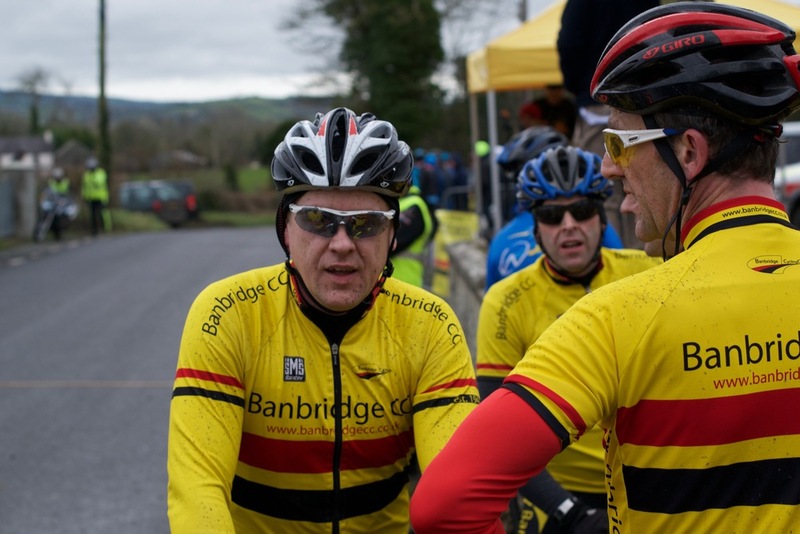 Banbridge CC’s Don Travers just missed out on a podium spot in 4th place. Mark Kendall of Banbridge CC also finished strongly in 8th place as did Brian Hannon who was just outside the top ten in 11th place. 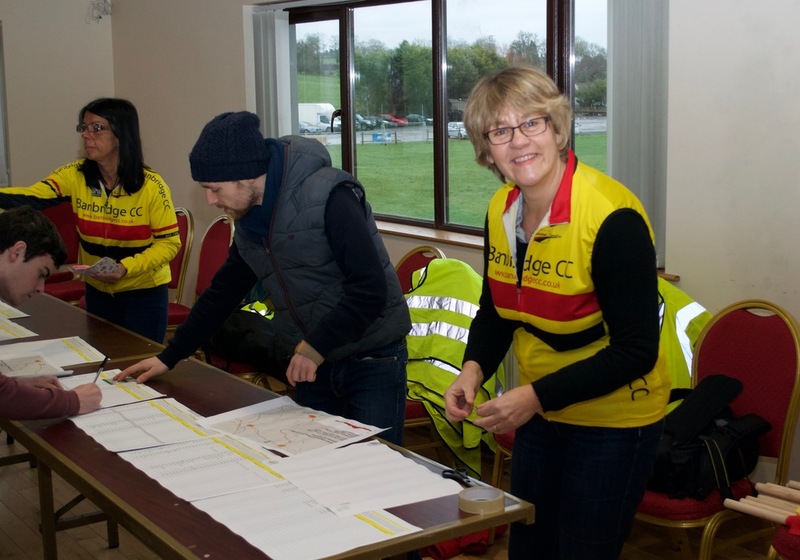 Massive thanks must go to all of the Banbridge CC volunteered their assistance in preparing the course to ensure a safe event, the catering crew who fed and watered the riders and officials on a cold day, and the local Banbridge PSNI outriders who assisted the marshals. 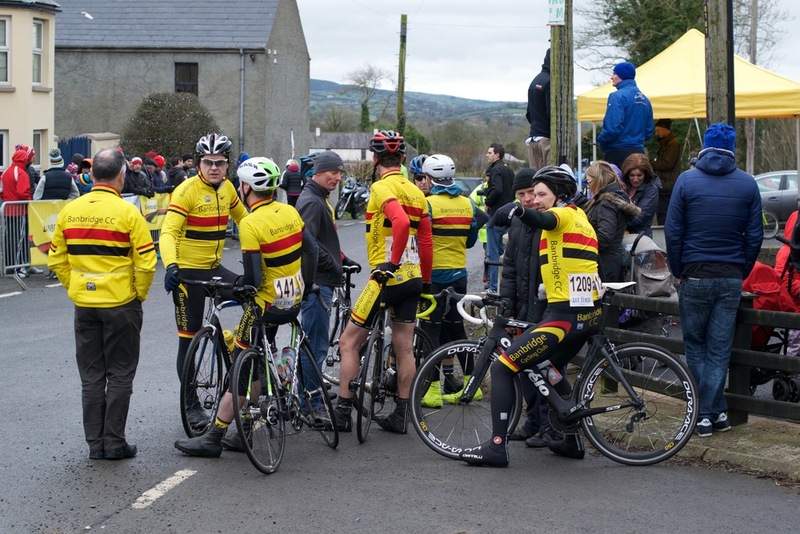 Thanks also to the event sponsors Travers Engineering of Rathfriland who continue to support the local event and Banbridge CC, and Tesco Banbridge who provided water and bananas for the marshals and riders. Full results from both the races are available here. 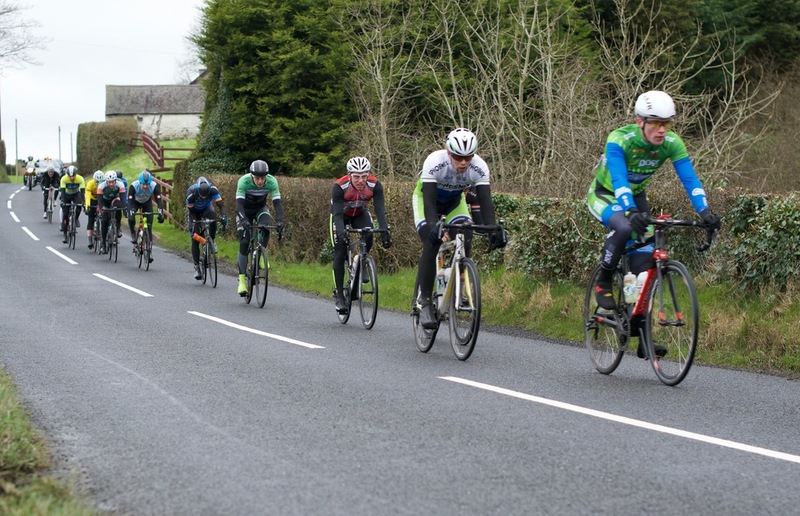 Brian Hannon and Kevin McAlinden were both in action at the opening round of the Cycling Ulster Masters over 50’s league at the Phoenix GP in Crumlin on Sunday. In tough conditions, and in the most competitive field the league has seen in recent years with almost 50 competitors, both riders showed they had great shape for the early season races. 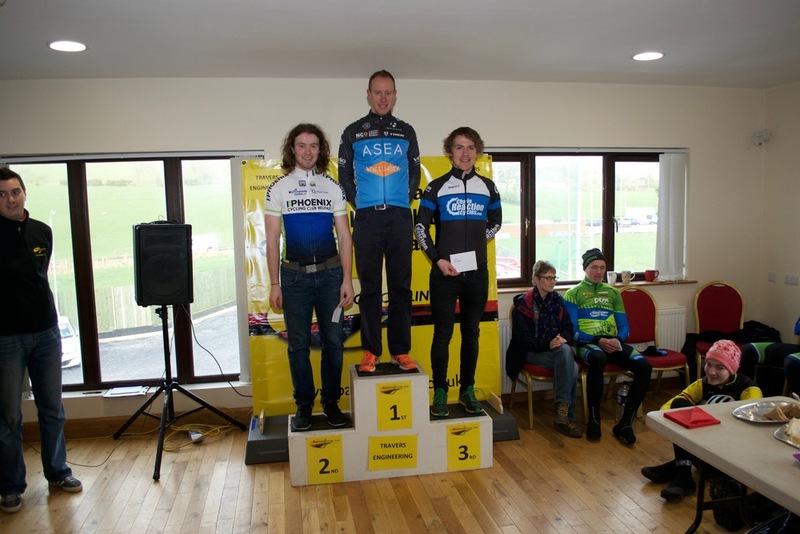 Following a strong showing the day before at the Banbridge CC promoted Travers Engineering Annaclone GP, Hannon finished an excellent 3rd place to step upon the podium. McAlinden followed closely behind in 4th place. In the A4 race Mark Kendall showed his consistency with an excellent 5thplace, again after a strong performance the day before in Annaclone. A3 category status looks like it won’t be too far off for the Banbridge man who has set his own goal of scoring points in every race he enters until he does so – no lack of ambition there!